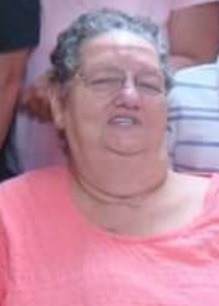 Dana J. Barrett, 76, of Fort Wayne, died Tuesday August 28, 2018 at DeKalb Health. Dana was born January 10, 1942 in Spooner, Wisconsin. Dana was a member of The Church of Christ of Latter Day Saints. Dana is survived by a son and daughter-in-law, James T. and Carole Barrett of Rock Falls, IL; three daughters, Dana J. Barrett of Las Vegas, NV, Elenor A. Hobbs of North Carolina and Charlene M. Barrett of Jackson, GA; many grandchildren; many great grandchildren; sisters, Carol Hoffman of Georgia and Susan Grose of Conyers, GA. She was preceded in death by her husband, James T. Barrett; and a sister, Michel. A memorial service will be held at a later date at The Church of Christ of Latter-Day-Saint 5401 Saint Joe Road, Fort Wayne.